Whether you're a St. Louis native or tourist, spending time in gorgeous Forest Park is probably part of your spring or summer routine. 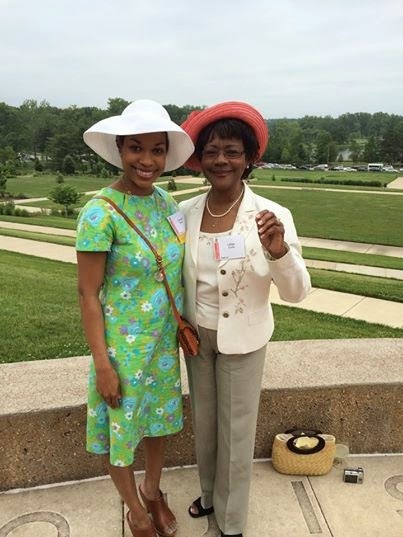 Forest Park Forever, an organization dedicated to ongoing restoration of the park, hosted the 24th Annual Leffingwell Award "Hat" Luncheon in the World's Fair Pavilion in Forest Park a few weeks ago. 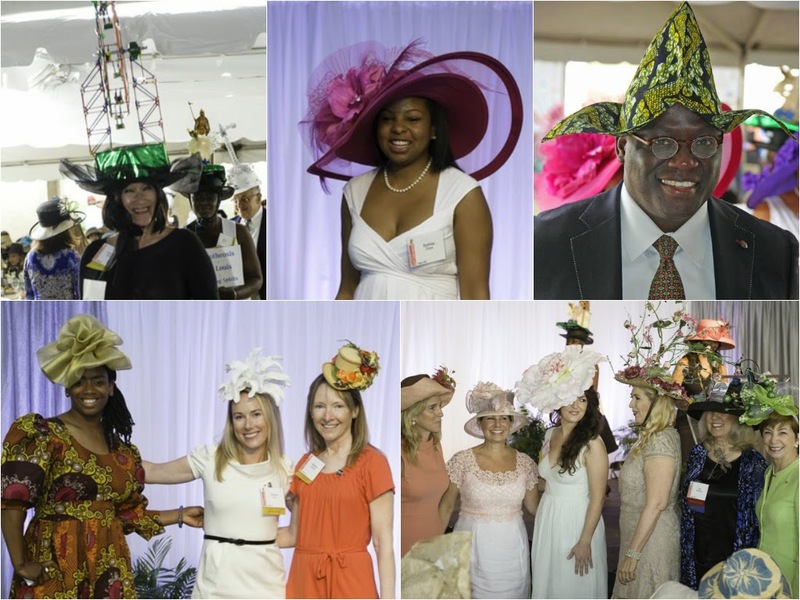 More than 1100 guests decked out in their finest headdresses attended the lunch, which raised $340,000 for the Park. This made for some pretty amazing people-watching, as I saw everything from vintage fascinators to hats commemorating St. Louis memorabilia. (One table even made food- and restaurant-themed hats, such as using a box of local chocolates. Yum.) 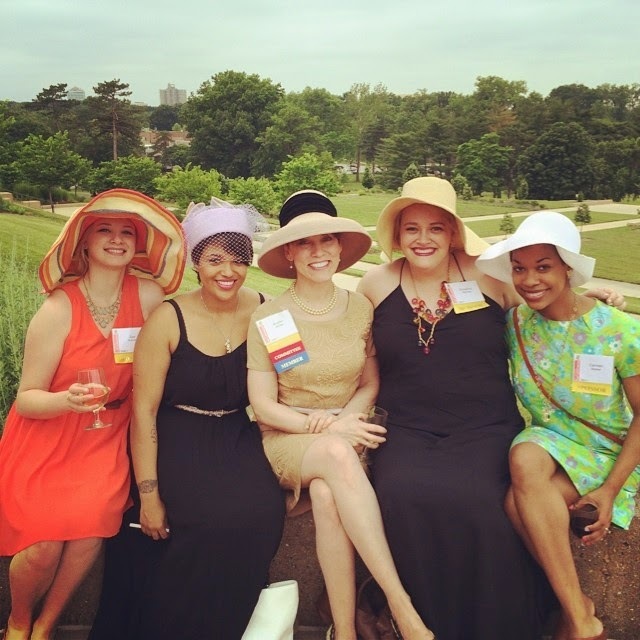 Although my hat didn't win any awards, the Stifel Hat Contest was a visual treat. Next year, I think I'll go for a more colorful or original topper - I would love to win the "whimsical" category! My coworkers at Rung: Zoe, Sarah, Kirsten, and Christina. Aren't they lovely?